WestPoint is the name of the French electronic brand and it already collects fame for its quality product. WestPoint brings a huge variety of home appliances from the juicer in your kitchen to the AC in your room to make your life easier. iShopping.pk brings the products of the WestPoint for Pakistanis in bulk especially kitchen appliances. WestPoint Blenders Price in Pakistan is enough impressive and quality of their kitchen appliances are highly remarkable. Blenders of WestPoint are elegantly designed by using good quality of plastic while chopping and mixing feature of each product provides a brilliant result. It based on different parts but each part is enough durable. Its outer body isn't only durable but it also looks catchy and stylish. WestPoint Blenders Price in Pakistan is approximately the same as blenders of other brands. 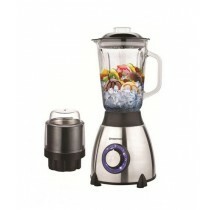 Its catchy look didn't make it costly blender at all and peoples love to purchase it. 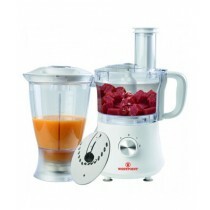 Blades of WestPoint Blenders designed by stainless metal and truly sharp through which you can chop and blend properly. Sharp corners of Blade works smoothly and proves that it will be a smart choice. It works for a long time and didn't disappoint you with your selection. Its sharp blades makes it as a long lasting product and you just need to pay one time to us if for a long time. WestPoint Benders Price in Pakistan suits to its durability and you can also purchase it through iShopping.pk. 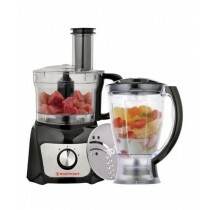 Its machine works efficiently and consumes low energy as compared to other blenders. Machines of some WestPoint Blenders also perform different functions friendly which includes, beating, blending, Chopping, and mixing. Life of its machine didn't reduce at all after including all these features and works for a long time. Its switch covered with safety clamp through which you didn't feel electric shock while plugging in or plugging out. You can easily clean WestPoint Blenders after using it and keep it fresh every time. Its high-quality material didn't make it greasy after usage and you don't need to use a strong chemical to clean it. It won't smell bad after wash and get ready for next time. 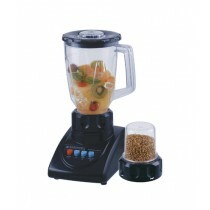 WestPoint Blenders ideal for blending and chopping which can be done very easily. You just need to switch on electricity and press a button to operate it. It shops or blends very quickly within a few seconds. WestPoint Blenders Price in Pakistan is enough attractive and you can buy this at an approximately identical price from iShopping.pk. iShopping.pk always brings reliable products for its customers that's why also add blenders of WestPoint at its online store. There are different models of WestPoint Blenders and function of each model different from each other. Their price has been set by considering their function and look whereas iShopping.pk also offer at the same price as WestPoint Blenders Price in Pakistan.